Most of people make multiple email accounts. One for their office life, one for their personal life... or for any reason. But often there is need when we use to use both account on the same time. We can do it by opening another browser and sign in from other account, but its always a hectic. # Get the screen below and Approve that is what you want. And you are done.. 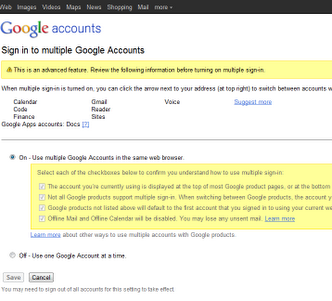 Enjoy the benefit of multiple account at the same time.